I am writing this post based on a request, but I think that this is something that I have been inquiring about too. This post is very meaningful to me, and I find it a great post to share with you. 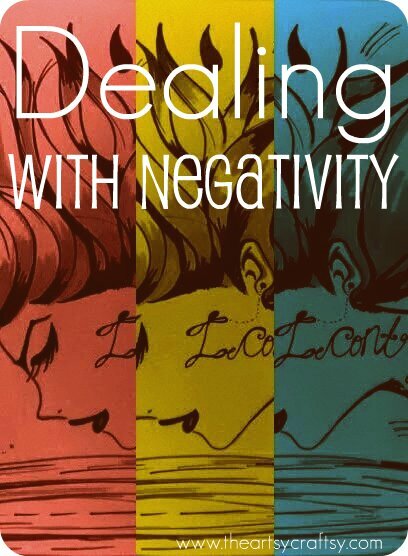 I don't know about you, but I have been dealing with negativity my whole life. I have dealt with negativity from others, environment and even myself- yes, from my own share of negative experiences too. I got my first negative remark about me being negative from a loved one when I was a little girl. I was 8 years old, and my loved one made a comment that I have a negative mentality. So young and so exposed to such remarks! But looking back now, I am thankful because, it was at that age that I started to question from within. I asked myself "What is it that makes me negative? Was it my upbringing? My surroundings? influence?" I can name anything and everything, but as I got older, I realized that the negative behavior was from me, and when I find people or my environment negative, it is usually a projection of me. Hence the saying, "we mirror one another". I get this question a lot: What if someone behaves negatively or gives a negative vibe out of the blue? I have to admit, I don't have a specific answer for this. All I can say is, we can change that can't change that or the other person. But we can try to control it on our own. The only reason why situation like this arises is because everything works in a cycle. Whatever negative vibe this person brings, is a vicious cycle of another or from another person. So, if we contribute to it, by reacting to the cycle, it will never stop, and the world would continue to behave so. Perhaps you might say, "But my parents raised me with a negative mentality, it isn't my fault!" 2 years ago, I didn't realize that I was contributing negativity to a lot situations, especially in my relationship. I used to blame my love that it was his fault when things go wrong. Or I would blame my father who deserted us, for the misfortunes in my life and being born with a financial burden over me. I didn't realize that I was feeding my negative thoughts when I continue to believe my life was that horrible! The result: My negative thoughts affected others to be negative around me. As for my environment, whenever I walked into a room feeling negative, thinking negatively of others and myself (lack of self-value), it actually altered my surroundings into a negative environment, which led back to me being negative or feel negative everywhere and anywhere. Scary isn't it? But, can you see the cycle now? Our mind is a powerful tool that it can creepily alter your perceptions and atmosphere, especially in how we perceive others, which reflects back on us. Those are energy, a light that hits back on us, like how light hits on a mirror and back. It can make us into an unloving and unproductive person. It took me years to unlearn and most importantly understand my own negative pattern. When I first discovered my own negative pattern and how it works, I was shocked, and also had a tough time acknowledging it. I thought I was a troubled person, depressive and I went so low that I even hated myself altogether. I didn't have guidance or How-to manuals to teach me How to Deal with Negative People and Environment. So I thought it would be good if I put together a little guide here, on how you can start your positive journey. I may not have all the answers, but I can share with you on what has helped me in my journey. Out of Negativity, Back on the Road. 1. The most important one of all: You are your own individual. Learn to recognize that you are your own person and that means you have the power to change your thoughts, emotions, and how you feel. 2. If you come across a person that is behaving negatively, ie. hot temper person, someone angry, lashing out mean words or taking out his or her anger on you, the best thing to do is walk away gently, and calmly say to the person "I can see you are upset now, I understand that you might need some space to cool down. Let's talk about this when things have settled down"
3. Imagine your own inner-circle. This circle should be your own space for protection. There is no hocus-pocus here, just plain visualization; you can even include your own favourite colour to it. A colour that perhaps you find soothing or has a calming effect. There is no magic here; the idea behind this is to assure you of your own space that you can calm down, clear your thoughts and think rationally before reacting to the other person's negativity OR react to your environment. You are your own positive energy because you have control over your thoughts and body- no one else. 4. Practicing speaking up is an option, and sometimes this comes in handy when someone is attacking you verbally. Although the key thing is to speak up clearly about how it is making you feel. Use "I feel" instead of "You are...". You don't even have to be harsh about it. 5. It's okay not to be okay (I am so quoting Jessis.J's song). As a teenager, I was often put down by others. I had a lot of negative friends, and some of them don't even notice that they were being harsh to me. One of them used to pick on me, or make snotty comments about something I like, do, wear, etc. I always felt drained out whenever I spent time with them. 6. The final tip: Letting Go. Click on the link to read more about it on Tiny Buddha, one of my favorite websites for self-discovery.